Would you like a celebrity smile but without the Hollywood price tag? Snap-On Smile® is an affordable option that will keep you smiling! Dr Bruno Paliani, The SmileDentist has been improving patients' smiles for years. We have now expanded our services and are now offering the Snap-On Smile®. This is a great way of obtaining a ‘celebrity smile’ but without the Hollywood price tag. ​The Snap-On Smile® can be life changing. How great would it be to smile confidently again? What is the Snap-On Smile®? 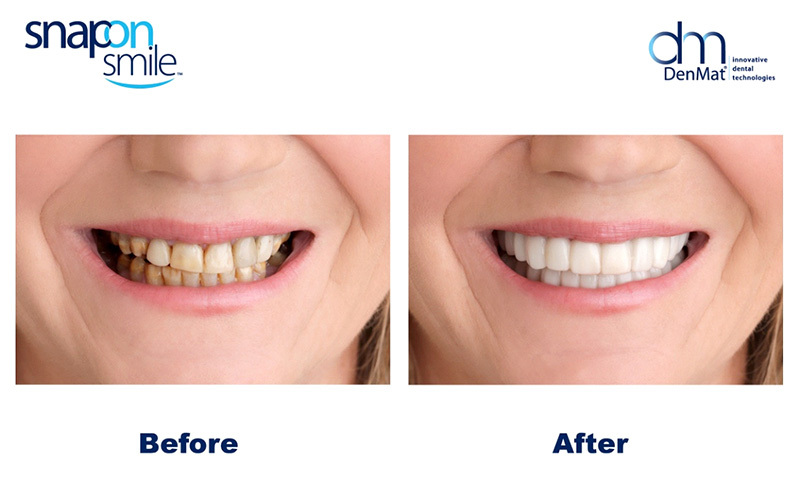 The Snap-On smile® is a dental appliance designed by award-winning smile designer, Dr. Bruno Paliani and custom fit to each individual patient. It fits right over your own teeth and gives you a beautiful smile. If you have gaps, spaces, missing teeth, chips, cracks, stains, discouloured or worn teeth, then you may be a candidate for the Snap-On Smile®. 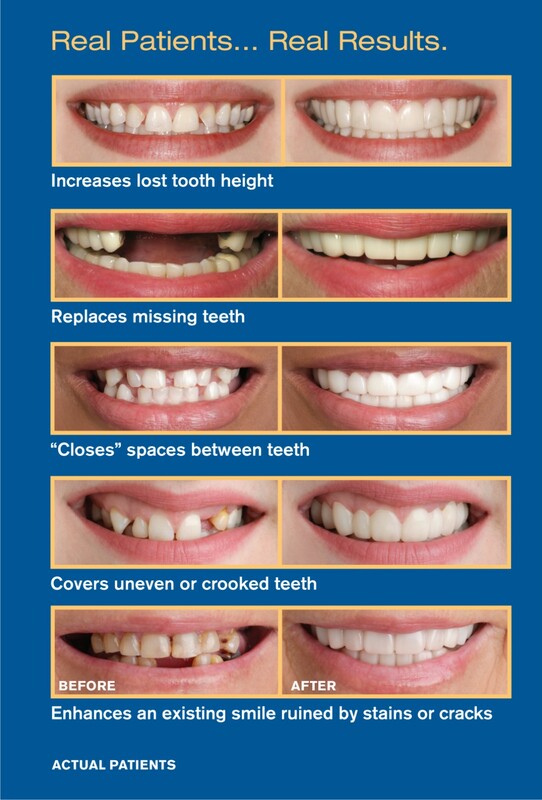 With proper care, your Snap-On Smile® may last 2 to 3 years. We can assist with insurance claim submissions. What appointments are involved to receive my Snap-On Smile®? At your first visit, we will examine your teeth, decide if you are a candidate for the Snap-on Smile® and, if so, discuss whether you wish to have a Snap-On Smile® for your upper teeth, lower teeth or both arches. We will then take 3D digital impressions of your teeth. There is no tooth reshaping , no tooth preparation, no freezing and no drilling! Since each Snap-On Smile® is custom made, we will send your digital impressions to the specialized Snap-On Smile® Laboratory to have yours made just for you. At your second visit, approximately 3 weeks later, we will fit your Snap-On Smile® and make any minor adjustments needed. You’ll be shown how to insert and remove your Snap-On Smile® and the steps necessary to keep it looking good. *Remember, you can eat with it, drink with it, and wear it all day every day. Just remove it when you sleep. There is no better time to improve your smile and self-confidence with the Snap-On Smile®. Contact us NOW for a FREE Cosmetic Consultation. Learn more about our other S​mile Services!